I REALLY Liked Chobani on FB. I eat a cup almost every morning :) YUM! I now follow Chobani on Twitter too. I used both of those flavors to make Popsicles, so if the winner is reading this, know that the Popsicles were DELICIOUS! we LOVE chobani champions - Little Miss and I both eat it. I love mixing fresh fruit dices in with mine. Liked Chobani Champions on FB! 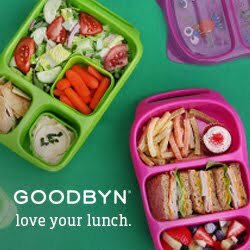 Liked Mamabelly's Lunches With Love on FB! Following Lunches With Love on Twitter! I like Chobani Champions on Facebook! 4. Follow Lunches with Love on Twitter & tweeted! 5. Follow Chobani on Twitter & Tweeted! my social security number is..Just kidding! I like Mamabelly's Lunches with Love on FB. I also followed LunchesWithLove on twitter. I follow Chobani Champions on FB! Following Chobani Champions on Facebook! Following Chobani on Twitter - thank you so much as I know my family will love these! Just followed your blog publicly as well - thanks my kids will love these in their lunches!